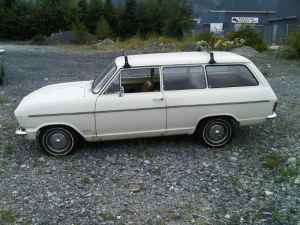 1969 Opel Kadett "Super" Wagon - Oh man, this is frustrating. JaCG reader, Todd, posted the link to this car in the comments section of the post I wrote about a Kadett for sale in Illinois. The car we received in the US was sort of a mutt. We got the grill and trim of upmarket version of the Kadett - called Opel Olympia in most markets - but most of the interior of the standard Kadett. This car is a private import and has the European grill and trim. (The grill on the North American Kadett and European Olympia was black and wrapped around the front of the fenders.) It also has no side marker lights. The European Kadett was available with the 1.1 and 1.9 liter engines we saw here, but also with 1.5 and 1.7 liter engines. I have never seen those engines. I'd love to check this car out, but it's on the other side of the continent. The seller says it runs and has only minor surface rust. The asking price is $900.00 C, which works out to around $908.00 US. Located in Squamish, BC, Canada, click here to see the Craigslist ad. 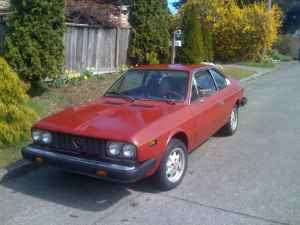 1976 Lancia Beta Coupe - Cheap Italian classic? The seller call this a "running project car". If it's all the seller says it is, it's not a tough project. It needs some clutch work and the carbs need to be "tuned" (read: rebuilt). He also says there is a problem with the combination turn signal / light switch (stalk), but he's including the parts needed to repair it. Some of the interior needs to be reinstalled. What he doesn't mention is rust. From the pictures there doesn't appear to be anything serious going on but, being a Lancia Beta, it should be checked carfully for hidden rust and / or poor rust repair. Located in Ballard, WA, click here to see the Craigslist ad. 1975 DeTomaso Longchamp - This is not a cheap Italian classic. It is a very cool one, however. This is one of roughly 409 Lonhgchamps built. This car, along with its 4 door big brother, the Deauville, were the only front engine cars sold by the DeTomaso brand. It was designed by Tom Tjaarda, who designed the Pantera for DeTomaso. Like most DeTomaso cars, it was powered by a Ford V8. 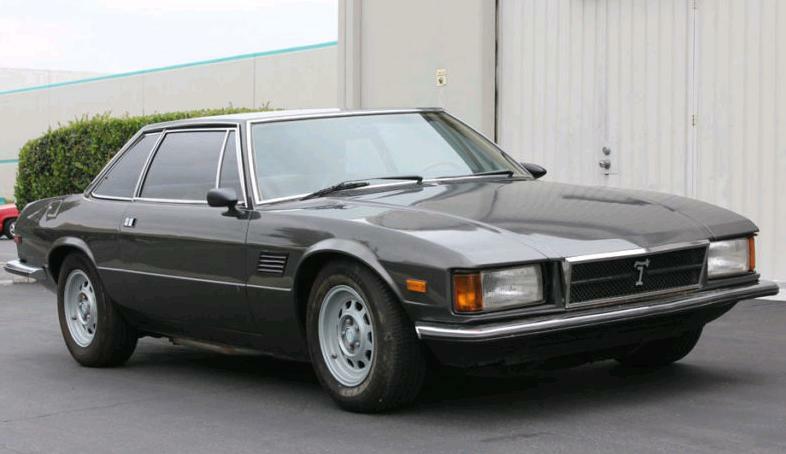 The platform of the Longchamp would eventually be developed into the Maserati Kyalami, after DeTomaso took over Maserati. This is a very nice driver quality Longchamp. It's in nice shape, but not a show car. As the seller says, this would be a great car for club events and long-distance touring. To be pedantic, and correct, CAD900 = USD 889.59 @ a spot rate of 1USD = 1.01171CAD per xe.com. Not to brag, but we have oil, rocks, water, and functioning government. So the markets accord us a .01171 premium over your dollar. "Not to brag, but we have oil, rocks, water, and functioning government". Agreed. And you have cool cars! And I got the inverse rate - oops, should have been 1CAD = 1.01171USD.